hose management. 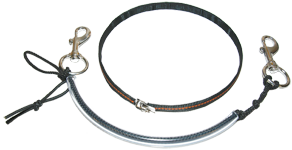 This sleeve fits over corrugated and LP inflation hoses to present a clean and snag reduced profile. 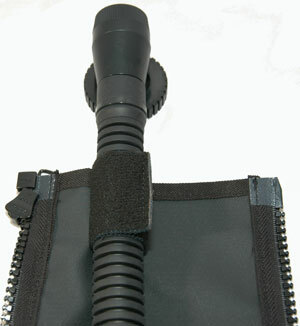 The new sleeve now gives easy access to allow other equipment to be neatly stowed. Fitting is very simple, inside the top part of the sleeve is a elasticised Velcro adjustable stay, once this is fitted around your corrugated hose the sleeve will be locked in position and will not slip. Then simply lay in your accessories and zip up your sleeve. 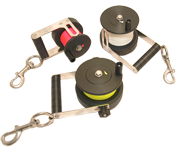 A zip tidy Velcro tag is also provided to protect the zip tag and ensures a non snag-point. 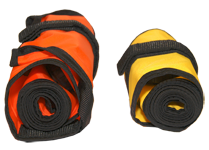 The Zipped Hose Wrap Sleeve is constructed from a strong Cordura material which provides excellent durability even after numerous sea water immersions. 45mm tube x 380mm length. 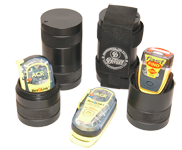 Click here for the PDF data sheet.